We're not saying things between you and your friends are "soapy." 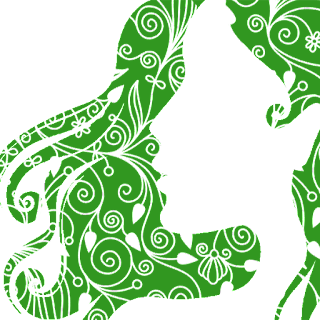 We just want you to share to your friends and help spread the word on natural stuff, especially about Casa de Lorenzo Castile Soaps. Here's our latest gift to all of the believers of taking care of skin naturally and in taking care of the environment. 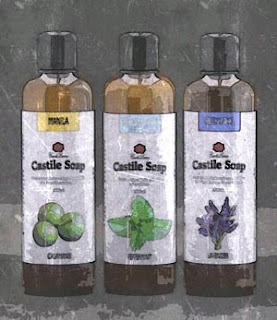 We hope that sharing to other people your experiences in bathing using Casa de Lorenzo Castile Soaps will convince them to try. And because you shared us, whatever soap your friend get, you'll get it too! Visit our Promo Page to start! 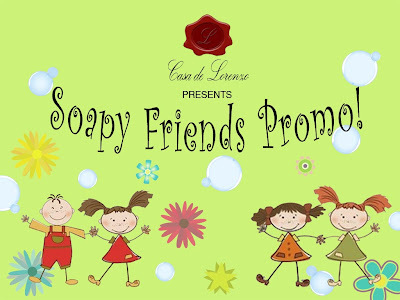 Tell your friends about Casa de Lorenzo Castile Soaps and encourage to try. 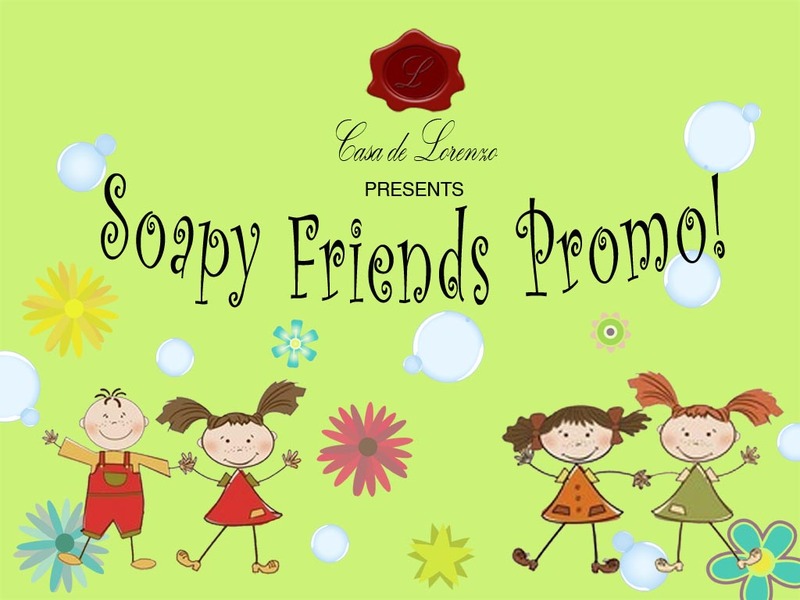 As our gift to you, whatever soap they get from Casa de Lorenzo, you also get it for FREE! Simply ask them to use the special ordering form on our promo page (Link here: http://www.thecasadelorenzo.com/p/promos.html ), add your name and mobile number, and we'll contact you separately. After the successful delivery of your friend's soaps, we will deploy your package. Please note that shipping will be care of recipient. Soapy Friends will end October 7, 2013.